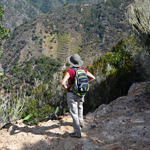 The hikers’ Canary Island of choice, La Gomera has long attracted the walking stick wielding brigade and one look at its terrain confirms why. Craggy, mountainous and impossible to navigate in short, quick journeys, feet are the most sensible mode of transport for exploring its rich terrain. 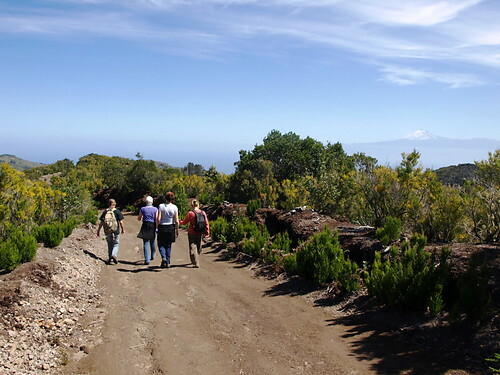 Aware that their main tourism revenue comes from the trekking feet of Northern Europeans, predominantly Germans but increasingly British, French and Scandinavians, the La Gomera island government have sympathetically repaired and cleared hundreds of hiking trails across the island and way-marked them with information boards showing difficulty levels, time, distance and elevation. Despite the proliferation of these very helpful boards, it still makes good sense to equip yourself with detailed walking guides or to join an organised walking group. Terrain can be difficult and the forest paths incredibly homogeneous – you could be lost for quite some time. 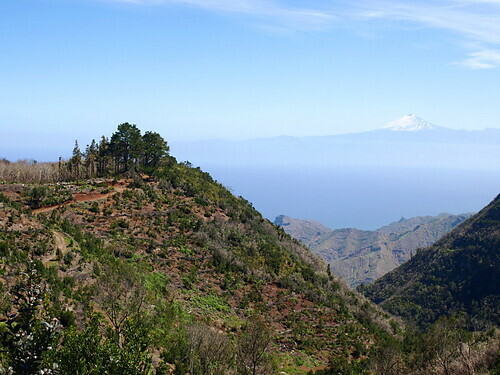 The large, flat(ish) plateau of the Garajonay National Park occupies the centre of the island and is a true rainforest, its ancient laurel trees absorbing moisture from the clouds that frequently envelope it. Hidden amongst the evergreen, gnarled and lichen-draped limbs of laurels, mastic trees, giant ferns and tree heaths are dams which have created small lakes – magical, prehistoric places where the world stands still. 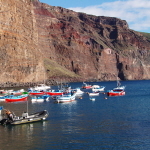 On the edge of the park, in the village of Las Rosas above Agulo, is the Juego de Bolas Visitor Centre which is packed to its rafters in useful information and has free walking guides. 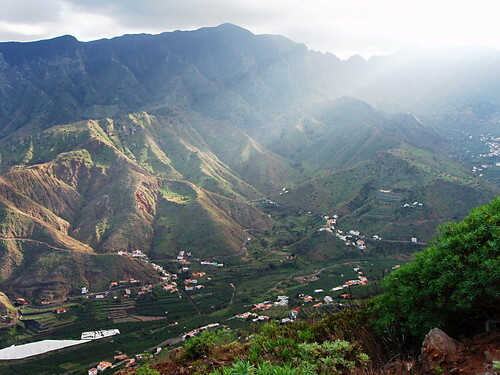 In the north of the island, a lung testing 300 metre climb snakes out of Agulo and up to the Juegao de Bolas visitor centre before returning to its starting point some 4 hours later. 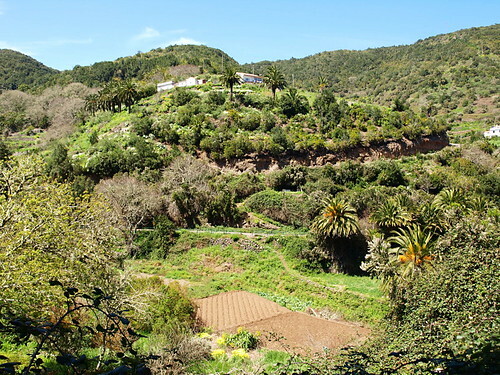 If you’re based in Vallehermoso, the spectacular 400 metre climb to Cruz de Tierno and back will work up an appetite for some fresh berros soup and papas arrugadas on your return. Climb to Los Aceviños in the central park and follow the El Cedro trail on its 600 metre descent to Cruce de Pajarito. 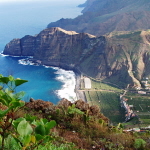 From the main ferry terminal of San Sebastián, a thigh-crunching trek up 900 metres to the Degollada de Perraza will reveal stunning scenery and if you have the whole day, the return 4 hours is naturally all downhill. 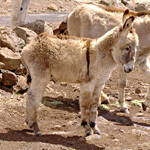 Out of Valle Gran Rey, trails wind their way up the barranco through La Calera to Arure, Casa de la Seda and El Cercado.